Attorney-client privilege breach alarms lawyers | Russian Legal Information Agency (RAPSI). The Wall Street Journal report about First Deputy Prime Minister Igor Shuvalov’s income and his affiliation with various financial groups has taken an unexpected turn. The allegations quickly ensued that the article was based on information supplied by Shuvalov’s ex-lawyer Pavel Ivlev, who is suspected of involvement in the notorious YUKOS case and on the wanted list. The ALM-Feldmans law firm, where Ivlev was employed, does not rule out this possibility. It is determined to ask the Russian bar association to deprive Ivlev of his license. The lawyer holds that the accusations are groundless, although he has neither confirmed nor refuted the allegations. He maintains that Shuvalov and his wife were not among his formal principals. Nevertheless, well-known lawyers in Russia believe the situation surrounding this possible breach of the attorney-client privilege could be a shattering blow to the legal community’s image. However, they do not expect clients to turn en masse to foreign lawyers. 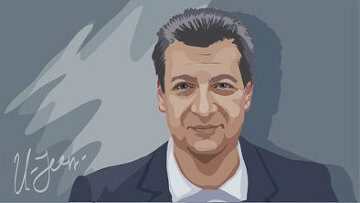 Rustam Kurmayev, a partner at law firm Goltstblat BLP, thinks that any broadly covered scandal involving Russian lawyers is detrimental to the Russian bar association’s reputation. However, foreign lawyers are not always an adequate substitution for their Russian colleagues because their activities are restricted by law. Konstantin Trapaidze, the president of the Your Attorney-at-Law law firm, said the incident does affect the legal profession’s image in Russia, but added that similar cases occur abroad. “Such violations of attorney-client privilege undermine the Russian bar’s authority, have an unfavorable impact on lawyers’ practice and are shameful, but we need to make sure the violation did indeed occur. I see no threat of major companies ceasing to retain our lawyers, but the situation will certainly make some think twice before doing so,” Robert Zinovyev, the chairman of the Moscow Bar Commission for Protecting Lawyers’ Professional and Social Rights, told the Russian Legal Information Agency (RAPSI). Lawyers’ activities in Russia are regulated by the Law on Legal Activity and the Legal Profession and the Lawyer’s Code of Conduct, but there are no special Criminal Code provisions in regards to lawyers, defense attorney Vadim Klyuvgant said. According to Kurmayev, Article 17(2) of the law states that a breach of the code of conduct is grounds for depriving a lawyer of his right to practice law. If the divulged information constitutes a commercial, tax or banking secret, the lawyer may be held liable based on Criminal Code Article 183, which carries a maximum penalty of seven years in prison, Kurmayev said. In turn, Zinovyev stressed that the prohibition on disclosing a client’s confidential information is also stipulated by international law ratified in Russia. “Everything that comes to the lawyer’s knowledge in connection with his legal assistance to a client may not be disclosed without the client’s consent. Otherwise, the lawyer’s conduct is deemed a betrayal of the client’s interests,” Zinovyev said. He stressed that three disciplinary actions are applicable to lawyers – a reprimand, which is cleared after six months, a note of incompetence and a status forfeiture. Ivlev acts to the detriment of the Shuvalov family by knowingly distorting the facts and trying to publish them in media such as Barron’s, ALM-Feldmans Managing Partner Artyom Dymskoy told RAPSI. “We think Ivlev manipulates the facts and events for the sake of his own political objectives,” he said. He added that Ivlev had been fired from the firm. An internal check revealed that Ivlev used the legal practice to screen an unlawful business associated with YUKOS, which is prohibited by law and the Lawyer’s Code of Conduct. Dymskoy maintains that when Ivlev left Russia in 2004 after a criminal case was opened against him, many client-related documents disappeared from ALM-Feldmans. Judging from their income declarations for 2008-2010, Shuvalov and his wife earned more than 1.405 billion rubles ($48 million). 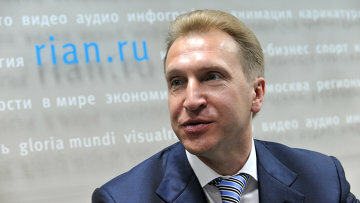 Shuvalov’s wife earned the majority of the sum, while his three-year revenues amounted to 26 million rubles ($888,000). Shuvalov said he has always had a responsible attitude toward his and his family’s income declaration. “The funds that I earned as a businessman are now in trust management and serve as the foundation of my independence from various powerhouses in my official decision-making,” Shuvalov said. One of his employees told that his boss had always obeyed civil servant legal standards. Another stressed all of his family funds have been and continue to be managed in strict conformity with Russian and international law. Since the foreign media reports, the Prosecutor General’s Office has held an audit of Shukalov and his family’s assets, but failed to uncover any violations. 17:43 30/03/2012 The Wall Street Journal report about Deputy PM Igor Shuvalov’s income and his affiliation with various financial groups has taken an unexpected turn.